Maine humor is as old as the state itself. Editor’s note: This is part one of a three-part series, looking at the meaning, origin and future of Maine’s Down East storytelling tradition in the wake of Robert Bryan’s death earlier this month. Bryan was the surviving partner from the influential “Bert and I” records. You can read the second part of the series here. You can read the third part of the series here. You probably heard the one about the city fella in the hot air balloon. Of course you have — but you won’t mind hearing it again. The guy in the balloon is floating over the Maine countryside. He has no idea where he is. He’s lost. While floating over a field, he sees an old farmer. The farmer doesn’t miss a beat. It’s a classic Yankee tale told a million times, but it always gets a laugh. Down East humor and storytelling have always helped define what we Mainers think of ourselves. In homegrown prose, poetry and music, we’ve seen our own reflections and laughed out loud. The oft-repeated tales function like a pine tree mythology. Simple, giggle-worthy country folks outsmart supposedly sophisticated city slickers at every turn with pointed rural quips. Pomposity is punctured without malice, but with desert-dry observations and sly truth. This Maine mythos is a soul-soothing salve. It buffers us against the long winters. It protects us from the harsh economic realities that come with living here, tucked away in the northeast corner of the nation. The well-worn stories are like old friends who stop by for coffee in the kitchen. They remind us who we are, make us laugh and tell us it really ain’t so bad. 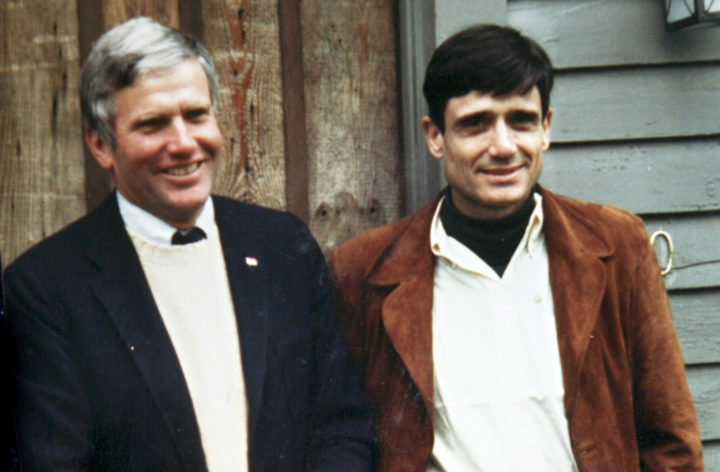 Robert Bryan (left) and Marshall Dodge of "Bert and I" fame pose for a photo in 1981. Dodge died in 1982 and Bryan died this month at the age of 87. With the passing of the Rev. Robert Bryan this month — one half of the famous Bert and I duo — a classic era of Maine comedy and storytelling has come to a close. Much of what we think of as Down East wit comes from their records, first published 60 years ago. 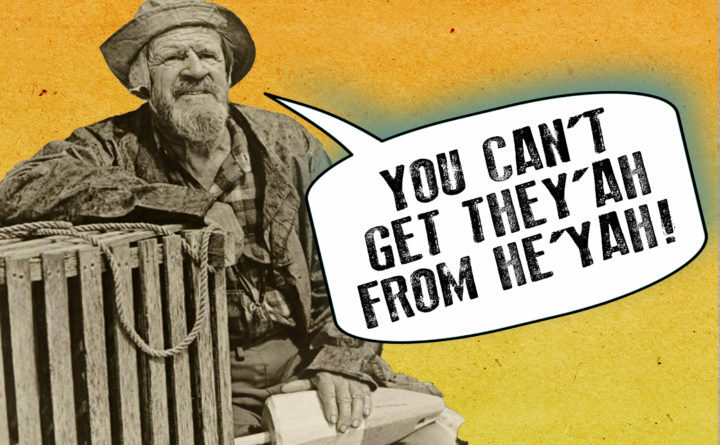 In reality, commercially sold Maine humor is as old as the state itself. Within a decade of statehood in 1820, newspaper readers across the country were chuckling at a backwoods Yankee’s droll exploits in Washington, D.C.
Today, even with Bert and I gone, Maine humor is still relevant. You can hear it in television advertisements, cartoons on the internet and in homegrown hip hop lyrics. As Maine becomes slightly more citified, the stories link us to the past, remind us of where we come from. They give Mainers from suburbs and cities an instant cultural heritage they lack. These days, the tales may be less about farmers and lobster boats, and more about drywallers and four-wheelers, but the message is the same: This is us, ayuh. Ain’t we some funny? The history of professional Maine humor goes back to at least the dawn of 19th century. By the 1830s, a syndicated Yankee character was tickling funny bones in newspapers across the new nation. A few years later, United States’ first stand-up comedian emerged from Oxford County with fans including Abraham Lincoln and Mark Twain. By the turn of the 20th century, another Maine newspaper man was making Down East-themed silent movies for Hollywood. Seba Smith was born in Buckfield in 1792. After graduating from Bowdoin College in 1818, he landed in Portland’s newspaper business. Upon founding the Portland Courier in 1830, Smith invented an editorial character named Jack Dowling. In the form of letters home to Dowlingville, the character commented on events of the day. Smith’s dry, semi-literate everyman poked holes in pretentious local characters with Down East wisdom and inventive barnyard comparisons. Other newspapers were reprinting the columns within a few years. By 1837, Smith was writing Dowling columns full time, for national audiences, commenting on Jacksonian politics in Washington, D.C.
Smith continued writing in the guise of Dowling into the late 1850s. About that time, another Mainer started making a name for himself with a Yankee character called Artemus Ward. Ward was the droll creation of Charles Farrar Browne of Waterford. Much like Dowling, Ward wrote in Down East dialect and could see right through any highfalutin potential scam perpetrated by his betters. Browne entered the newspaper and printing trade as a youngster. After kicking around newspapers in Skowhegan, Norway and Boston, he made his way to Ohio. There, he found reporting work at the Cleveland Plain Dealer. Browne was not a good news reporter, preferring to work on his humorous Artemus Ward columns instead. His editors didn’t mind. The columns were an instant success and soon syndicated in other papers. Abraham Lincoln was a fan. 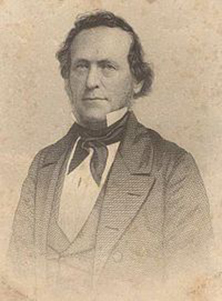 According to author Benjamin Tarnoff, Lincoln softened a cabinet meeting by reading aloud Ward’s latest story, “High-Handed Outrage at Utica,” just before presenting the Emancipation Proclamation. By 1863, Browne took his Artemus Ward character on the road, performing him live at theaters across the country. “He’d go somewhere like Kansas City and fill the biggest performing arts space for two weeks,” Tim Sample said. Sample’s a Maine humorist who’s been tickling Mainers for more than 35 years. He dedicated a chapter to Browne in one of his books. On one such tour, Browne met a young fan named Samuel Clemens — later known as Mark Twain. Clemens asked Browne to read one of his stories. Browne loved it and urged him to publish, even introducing him to editors in New York. The story, “The Celebrated Jumping Frog of Calaveras County,” was Twain’s first great success, rocketing him to national prominence. They remained lifelong friends, though Browne didn’t have much time left. Browne also took his act to England, where he was the toast of London. “They never liked Mark Twain in England because they thought he was a poor imitation of Artemus Ward,” Sample said. 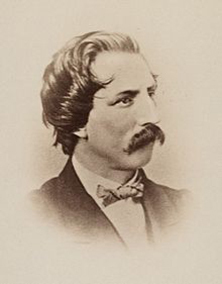 Browne died in England, of tuberculosis, in 1867. He was 37. Following Smith and Browne’s blazed trail, Day wrote his daily verse in colorful Maine vernacular. They were popular from the start and soon republished in Boston papers. Schoolchildren, all over New England, memorized his poems in school. Simply happened ’cause we tackled sev’ral miles of cradle knolls. And they soaked me eighteen dollars’ cartage to the Kennebec. A collection of columns was published, in book form, in 1901. It went on to sell 30,000 copies. More poetry and novels followed — 25 books in all. All sold well. In 1921, Day formed a movie company and turned some of his works into silent films. The next year, he found himself a little out of place in Hollywood, trying to get more films made. After Tinseltown, he went to San Francisco, staring in weekly radio program playing the role of a Down East sea captain dispensing Yankee wit and wisdom. Day died in 1935. After that, commercial Maine humor seems to have gone silent — until it was widely heard, for the first time, on the debut Bert and I record. Part two of this three-part series will look at the impact of Bert and I on Maine’s Down East storytelling tradition. It will be published Thursday.